2 How Expensive is Greece? 11 Which Greek Islands Should You Visit? Planning a trip to Greece this year? Well, you’ve arrived at the right place. I have spent the last 5 summers in Greece; using Athens as my home base while Greek island hopping and documenting all of my favorite things to see, do and experience in the country. In other words, you’ve stumbled upon what I personally consider to be the most complete and up to date guide to traveling to Greece on a budget. Many people who dream to visit Greece are under the impression that it’s both difficult and expensive destination to visit. The truth is a trip to Greece can be extremely affordable; as long as you prepare by doing your research and plan your Greece trip well in advance. As a matter of fact right now is the best time to visit the Greek islands due to the current economic situation in Greece as well as the ease of travel from the United States and Europe. When planning a trip to Greece and the Greek Islands your first priority should be to make sure you make a small investment towards your health and well being by considering an affordable travel insurance policy for your trip. Not only will this budget friendly travel insurance policy cover you if your bags are lost/stolen and if your flight is delayed/cancelled, but you’ll also be covered for all medical and injury related issues as well. Let’s face it. No parents, family or friends want to have to cover the cost of you getting medevaced home from Greece. Do yourself a favor and consider purchasing travel insurance coverage for your trip so you can rest assured that you’ll be taken care of in the event of a serious emergency in Greece. P.S. You won’t believe how reasonably priced this travel insurance is. 🏥 Why wait? Get a Travel Insurance Quote for your trip today. Getting to Greece is easy although it can be quite pricey depending on where you are flying from and which month you plan on traveling. For those of you flying from the United States, one of the best tips for finding cheap flights to Greece is to look for flights departing out of some of the biggest U.S. hubs. Example: LAX, JFK, ATL, BOS, IAD, MIA. All of the above airports are examples of major flight hubs in the United States and are usually great starting points when looking for the best deals on flights to Athens. There are two websites that I use to research flights and I recommend you use both in conjunction with each other in order to compare prices and find the best deals; Skyscanner and Google Flights. If you’ve used Uber in the past you would know that it’s hands down the most convenient and safe way to move around just about any city these days. Unfortunately, Uber is no longer operating in Athens. Thankfully, there is a great alternative — meet Beat, also known as Taxibeat. Once downloaded, be sure to enter the following Beat Promo Code below to get your first Beat ride free and/or severely discounted. TaxiBeat is not only the most reliable and safe way to take taxis in Athens, it’s also significantly cheaper than hailing a taxi from the street as a foreigner. An added bonus to using an app like Beat is that you can set your pickup location and final destination in the app so even if there happens to be a language barrier between you and your driver, your driver knows exactly where you want to be picked up and dropped off. Note: This Beat Promo Code can be applied worldwide, not just in Greece. Beat now operates in Mexico City, Peru, Chile and Colombia. Flying is hands down the most convenient and efficient way to reach the Greek islands. Not only will you save hours of your time by flying,you’ll also be able to turn that would be wasted time into more quality time on the islands. While there are a variety of direct flights from some of the major hubs in Europe, most flights connect in Athens International Airport (Eleftherios Venizelos). Since the majority of you will be departing from Athens International Airport, you should know that direct flights from Athens to some of the most popular Greek islands take approximately between 50-70 minutes while ferries to these same islands can take anywhere from 5 to 10+ hours. My recommendation is to always begin by researching flights using Skyscanner before looking into taking a ferry to the Greek Islands. Depending on the airline, time of the year and the latest promotions, flights from Athens to the islands can be found for as low as €45 round-trip. In conclusion, while flying tends to be the more expensive option to get from mainland Greece to the islands, there are definitely deals to be found. Tip: Begin your flight search by using the Skyscanner engine embedded below. Not all of the Greek Islands have airports therefore some islands require you to take ferries in order to reach them. Below you’ll find a short list of the Greek Islands that do have airports. Finding flights to some of the smaller islands can be quite tough due to intermittent flight schedules. Flights to some of the more popular islands such as Chania (Crete), Heraklion (Crete), Mykonos, Rhodes, Santorini and Zakynthos are very easy to find during the spring, summer and early fall seasons. If for some reason flights are too expensive, I suggest that you resort to a more budget friendly method of transportation; take a ferry to the Greek Islands. When it comes to booking Greek ferries, one of the most reliable and reasonably priced Greek ferry search engines is powered by a company called Ferries in Greece (highly recommended), a major greek ferry booking hub that helps more than 35,000 passengers get to and from the Greek islands each year. Greek ferry tickets tend to sell out quick in high season, especially on some of the more popular routes. Be sure to plan ahead. If you’re planning on visiting Greece during the low season, be sure to double check the ferry schedules as ferries to the islands run on a very limited schedule. Athens ferry port (Port of Piraeus) can be quite hectic and it’s very spread out. Be sure to figure out which part of the port that your ferry is leaving from prior to arriving otherwise be prepared to walk long distances with your luggage. The best way to get to the port of Piraeus from just about anywhere in Athens is to use Taxibeat as mentioned above. Don’t forget to use promo code: 2h92e7u6 to get a discount on your ride. ⛴ If you’re planning on booking a ferry to the Greek islands, I recommend you use: Ferries In Greece. Unfortunately, Uber is not available in the Greek Islands. Renting a motorbike, ATV or car is the recommended way to explore the islands and is far more efficient than relying on public transportation. Scooters, ATV’s and car rentals are plentiful on the islands but please be sure to research rental agencies before arriving on the island of your choice as some agencies are more reputable than others. Using GoogleMaps to find user reviews of rental agencies is recommended. Scooter rentals: €10-20 Euro/day depending on the shop and the engine size (110, 125, 200cc). Rental cars: €40-50 euros/day and are usually equipped with a manual transmission. 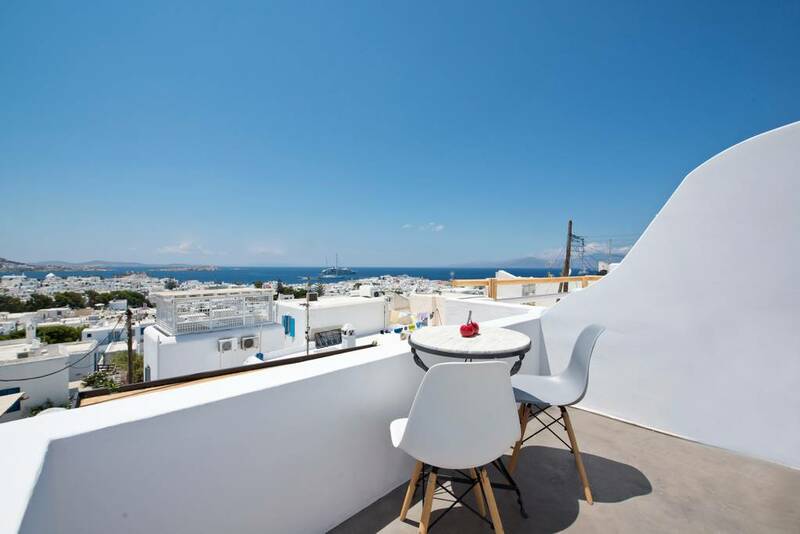 When it comes to finding affordable accommodations on the Greek islands, your options are pretty much endless; from budget hostels to cliff side hotels, resorts, airbnb rentals and more, the Greek islands truly have it all. Airbnb is my main preference when it comes to choosing accommodations, not just in the Greek islands but anywhere in the world. 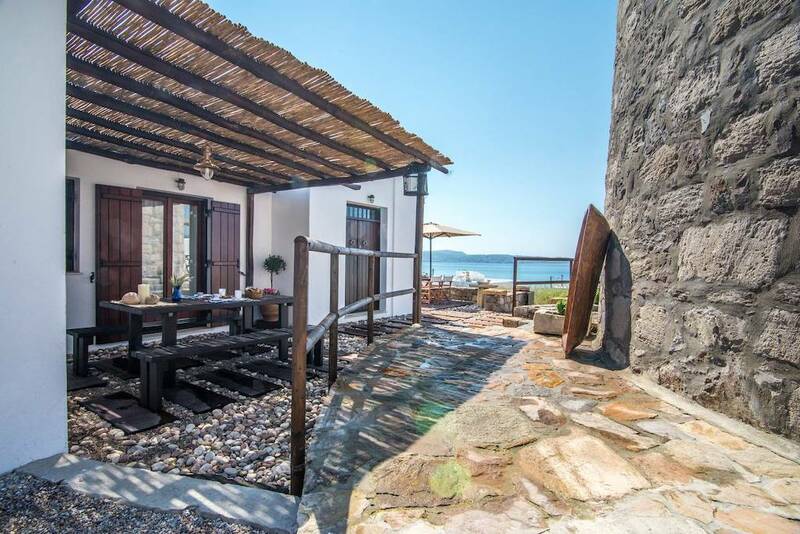 Interestingly enough, renting airbnb apartments on the Greek islands can be surprisingly affordable. Also, one of the many things I love about renting airbnbs is that they tend to be situated in the best locations on the islands. At the end of the day, if I have the choice, I simply don’t see the point in staying in a basic hotel room with minimal amenities when I can have a fully-equipped, private apartment of my own for what is sometimes a fraction of the cost of a hotel. 🏠 If this is your first time using Airbnb, I recommend you check out my Insider’s Guide to Saving Money on Airbnb Apartments. If you’re traveling to the islands on a tight budget and don’t mind roughing it a little bit, booking hostels will probably be your best bet. Of course, every island will have a variety of hostels for you to choose from. The amenities and styles of accommodation range from options such as dorm rooms with bunk beds to private rooms with ensuite bathrooms and more. 🏨 If your plan is to stay at hostels throughout your trip to the Greek Islands, I recommend you use: HostelWorld. If for some reason I don’t find anything on airbnb my next recommendation would be to take a look on HotelsCombined. HC offers a wide variety of accommodations (budget to 5-star) to choose from; over 30,000+ listings and counting. Please note that booking hotels on the Greek islands will likely be more expensive than most airbnb apartment rentals on the islands. Note: This option is not for everyone. Those of you who like to plan, research and coordinate every little detail of your trip ahead of time should go ahead and skip this section. Are you prepared to show up to the Greek Islands with no reservations? Well, if you’re spontaneous enough and you’re not concerned with making reservations prior to arriving to the islands then a good way to find discounts on acommodations is to simply show up. I know it sounds a little crazy but when you disembark your ferry on some of the larger islands, you’ll notice groups of hotel owners and family operated guesthouses lined up awaiting your business and trying to fill up their accommodations. Start by speaking with some of the hotel and guesthouse owners and find out what they have to offer. If you have any inclination and you’re not 100% sold on the first one simply move on to the next one quickly as the other owners will have likely already headed back to their properties with other tourists from your ferry. Whatever you do, don’t forget to come prepared with your best haggling skills. You’ll need them if you want to score the best deal. Another perk of showing up to an island without reservations is that you can usually negotiate the cost of your accommodations based on how much time you are interested in spending on the island. Which Greek Islands Should You Visit? Most tourists struggle with deciding on which island(s) best fit their wants and needs. Deciding which islands to visit during your vacation to Greece will require you to prepare a travel budget ahead of time. If you’re on a really tight budget, you’ll probably want to avoid the most expensive Greek islands such as Santorini and Mykonos. While there are definitely ways to visit Greece’s most popular islands (Santorini and Mykonos) on a budget, your options for accommodations, transportation and dining out will certainly be limited. 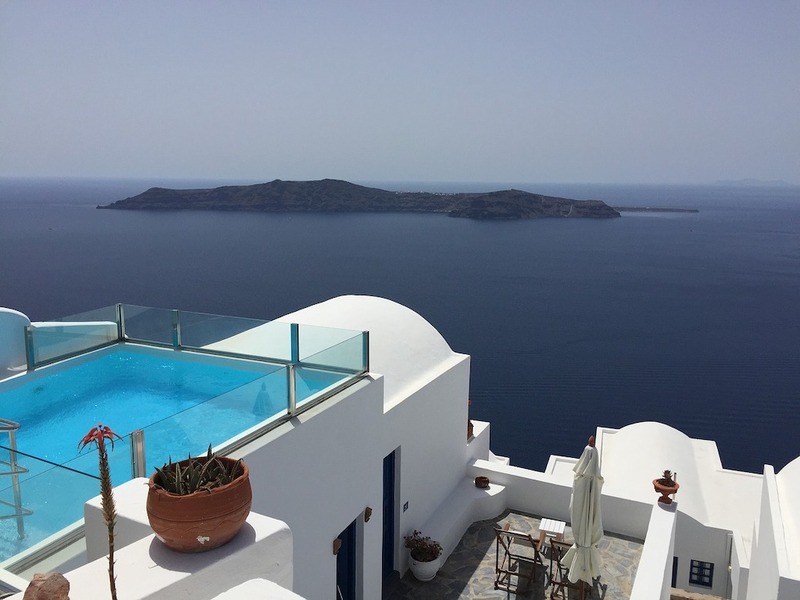 My recommendations for those who simply cannot imagine themselves visiting Greece without spending time in Santorini or Mykonos is to start by looking for accommodations in locations on the islands which are further from the center of all the action. If you’re more interested in visiting some of the cheaper islands close to Athens, I suggest you check out a few of the following islands. I’m on a budget, but it’s flexible. Those who are traveling to Greece on a flexible budget will be happy to hear that there are a wide variety of islands for you to choose from. 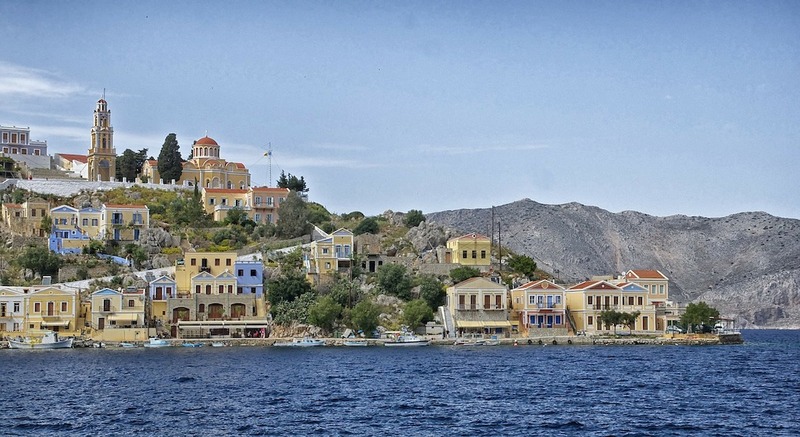 Below, you’ll find a quick breakdown on some of the top Greek Islands. Some of the most popular islands in Greece include Santorini, Mykonos, Ios, Corfu, and Crete. Let’s start off with the most popular islands first and move along to some of my personal and lesser known favorites. 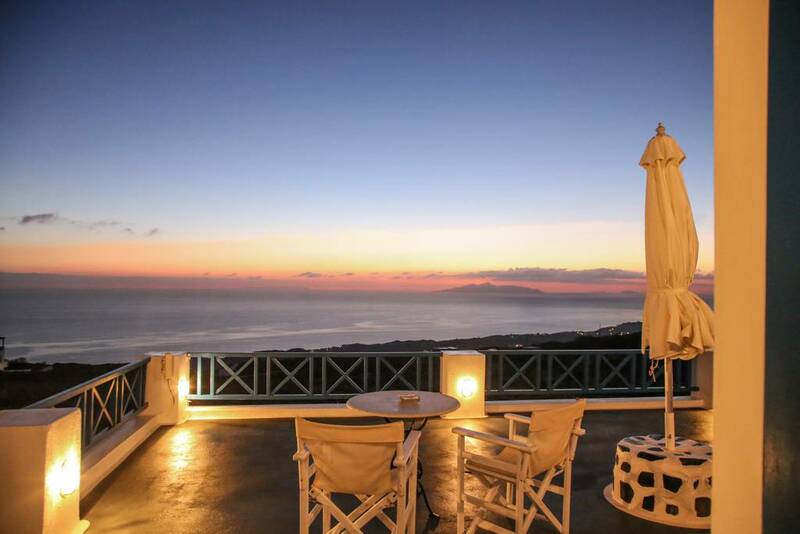 If you’re looking for a romantic stay or just want to witness some of the most famous sunsets on planet Earth, Santorini is an absolute must. Santorini offers cliff side accommodations with mind boggling views of the caldera but doesn’t offer up too much when it comes to beaches as much of the island is built high up on the cliffs. Santorini does have a few decent beaches (Red Beach & Black Beach) but they’re not world renowned like some of the other Greek islands. 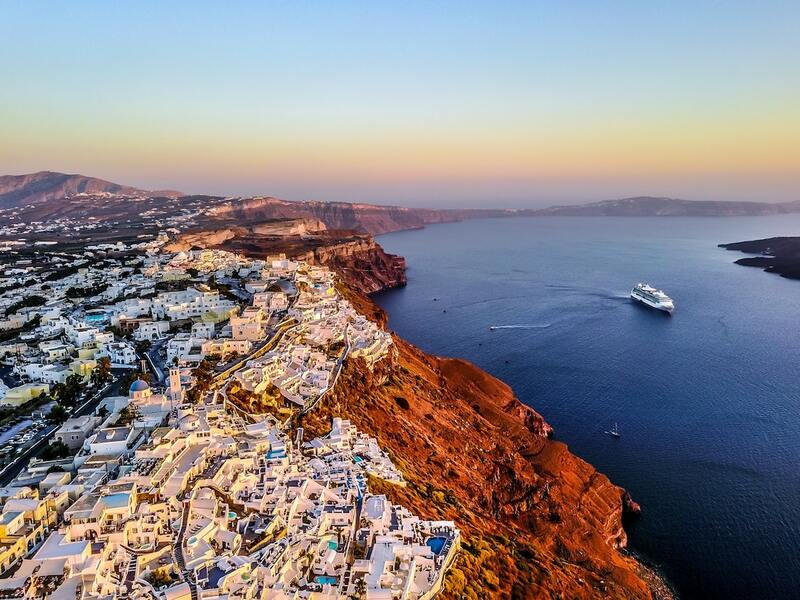 In reality, Santorini is more about the views, sunsets and romantic vibes. If you’re really eager to see the beautiful beaches but don’t want to miss out on Santorini, I highly recommend you add the Greek Island of Milos to your itinerary and split your time between both islands. Scooter rentals in Santorini go for approximately 10 to 15 Euros/day. ATV’s cost slightly more but are a heck of a lot more comfortable if you have someone riding on the back with you. There are many rental companies to rent from on the islands so there is no real need to book cars, scooters or ATV’s in advance. If you’re looking for great day parties, wild nightlife, white sand beaches and beach clubs with bumping music, Mykonos is your best bet. Food, drinks and accommodations can be very expensive on the island but that’s the price you pay if you want to spend your vacation on the best party island in Greece. Mykonos is known for its beautiful beaches, non-stop parties and is one of the most popular islands when it comes to the LGBTQ crowd. Milos is my favorite Greek island mostly due to the wide variety and uniqueness of its beaches. I’ve visited 20+ Greek islands at this point and none of them compare to the island of Milos. In my opinion, it’s the best Greek island to visit and it’s a place that I have visited multiple times. Fun Fact: There are more than 72 different beaches on the island of Milos! My advice to you would be to pair this island with a visit to Santorini that way you get the chance to experience the best of both worlds when it comes to the cliffs of Santorini and the incredible beaches of Milos. Another perk about visiting Milos is that you can take a short 15-minute ferry ride to a tiny little traditional Greek island known as Kimolos and check another island off your list. Scooter, ATV and car rentals are very affordable and are a must if you want to truly explore the lesser visited parts of the island. 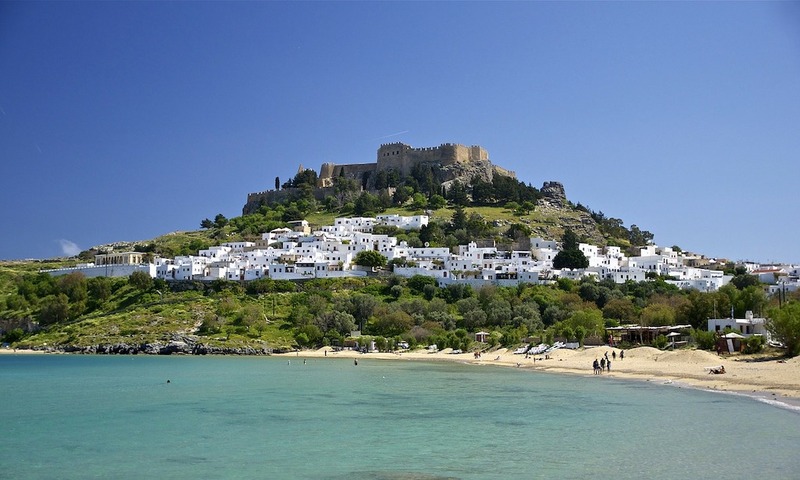 Rhodes is the 4th largest Greek island and an island that I think everyone should visit on their trip to Greece. I wrote an in-depth Beginner’s Guide to Rhodes that I think you’ll find to be really useful. Note: If you’d like to knock Turkey off your bucketlist during your trip to Greece then Rhodes is a great island to visit as the round-trip ferry from Rhodes to Marmaris, Turkey can be done in a day and is relatively affordable. 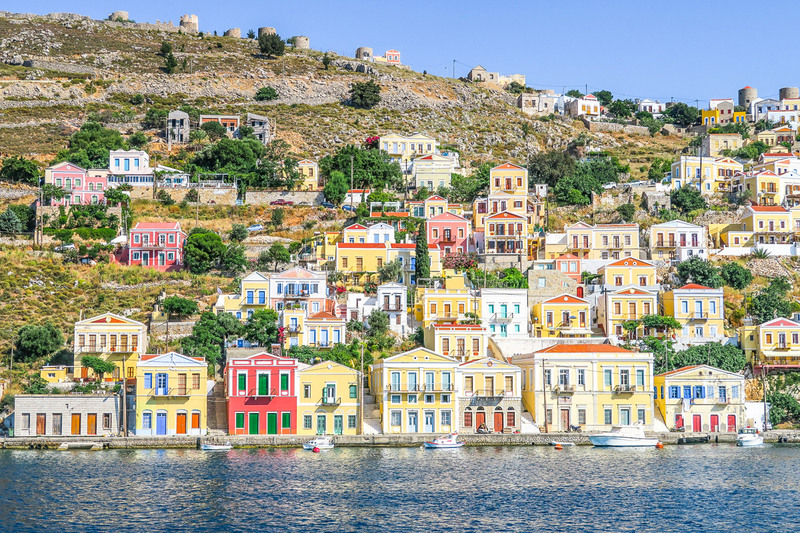 The Greek island of Symi is a small, quiet and lesser known island located in the group of Dodecanese islands just 41 km /25 mi northwest of Rhodes (fourth largest Greek island). 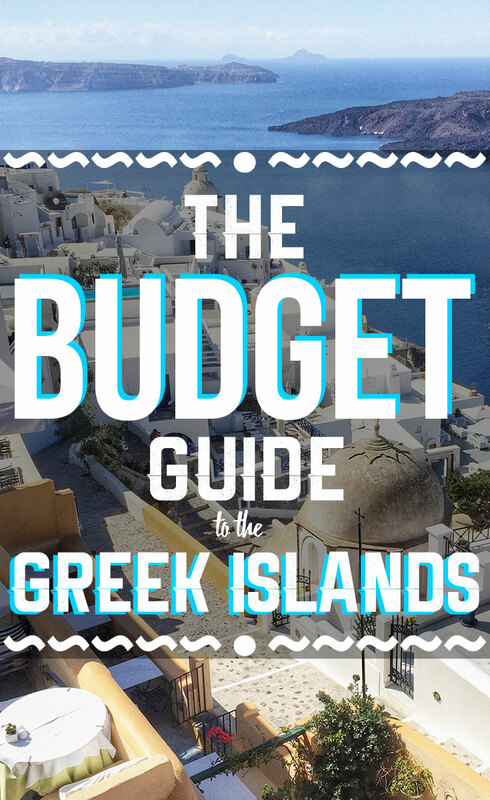 Below, you’ll find some useful tips for saving money during your trip to the Greek islands. Find yourself an airbnb apartment equipped with a stove top burner or full kitchen. You can save a lot of money by simply taking a trip to the grocery store with a few meals in mind. Save the leftovers for later and pack them for lunch the next day. Chat with local shop owners. After a few minutes, you might be lucky enough to score some insider’s information on local places to eat, drink and more. Rent a scooter, ATV or car in order to make the most of your stay. Ask your airbnb host or hotel concierge which rental agencies they recommend. If joining tours is more your style of travel, don’t settle on the first tour you see. Shop around a bit and you’ll be surprised to find alternative tour companies that offer the same packages as the big name companies at much lower prices. A visit to the Greek Islands doesn’t need to break the bank. Now that you’re well equipped with the knowledge necessary to enjoy a trip to the Greek Islands on a budget, go ahead and start planning your trip today. You are so right! And what's more is you can take a ferry to and from Turkey as well. Since we've lived here we've visited Chios and Rhodes that way. It's a great way to travel. Are you going to Rhodes? Here is our post on it: http://www.reflectionsenroute.com/?p=198. Also, if you have plans on coming to Turkey, ask us just about anything! That's very true Corinne. Thanks for mentioning that. Turkey is very accessible from the Greek Islands, especially Rhodes. We did not get to Rhodes, only Santorini and Milos. Thanks for the tip! Is turkey safe to visit now. Yes, I love Turkey and always recommend it when visiting the eastern most islands of Greece. Do you need a visa to get into Turkey? Depends on which country you’re from but generally speaking, yes. Check out the Turkey e-Visa program. It’s very easy to use and obtain your visa. Wow such a thorough overview. I'm definitely bookmarking this on delicious. I love these types of posts, keep them coming! Thanks Ayngelina, I'm glad you enjoyed it. Awesome advice for a place I sooo want to visit. Thanks Andi, you'll have to get there one of these days! We've gotten a bit behind on your travels, but are looking forward to catching up. Glad to hear you're having a great time in Greece! We haven't been to the islands yet, but we really really enjoyed Athens. We'll be reading your posts about Egypt closely too. There's a possibility we may head there for 3 weeks this fall. But we're still deciding between Egypt and a few other places. So many places to choose from! Yeah we enjoyed Athens as well. Pretty cool city and it was around 35C every day so if you like the sun, it's the place to be! As for Egypt, it's an amazing place to visit. The only thing I would recommend is to make sure you stay there for at least 2-3 weeks because I don't think you can really immerse yourself in the culture and every day life without being there for a decent amount of time. One week in Cairo is a joke! There is so much to see other than the Pyramids and the Egyptian Museum. Walk the back streets, eat where the locals eat, take the black (private) taxis but make sure you're ready to haggle, befriend the amazing locals, and learn to cross the roads on your own without having the tourist police assist you. Great information especially as I have been dying to make it to the Greek islands but can never seem to find a cost effective way of doing so. Yeah, it's tough but… it CAN be done! Glad you enjoyed the post. This is an awesome post with great advice. I am gonna have to come back to this for when I get to Greece on my RTW trip! Oh & the pictures are amazing. They make me wanna go right now!!! I concur what a mighty well written article, thanks for writing it. This is certainly great advice for anyone traveling to the Greek Islands. I wrote a post specifically about Mykonos, let me know what you think! Rhodes is an easy daytrip from Turkey, or longer of course! The Greek islands are marvellous, but can be expensive to visit, so articles like this are invaluable! Thanks Liv! Glad you enjoyed the article. Be sure to share it with your readers as I think they would probably be interested in this. What a great comprehensive post. I will be keeping this bookmarked for when we head to greece! Thanks guys! I love the thorough review. I can’t wait to go there myself! When you go to Santorini you should visit the wineries… you can see the way the prodice wine, the pales with the old wooden barels and of course wine testing…. In Greece , everybody says that Milos is a wonderful island.. but… if you go there as a couple.. after the end of the holidays you will break up… ;) or if you go alone you will find your soulmate… Anyway this islands has wonderful beaches and very quiet places to relax. Hum, quite happy to read this today:) We’re heading to greece in May, I’m bookmarking this! Great tips! Thanks Audrey. Glad to hear you found them to be helpful. Wow, I love this article! I’m from Poland and I’m going to plan my vacation trip on 2014 with your helpful information. Wish me luck! Thanks for all the tips! Will definately take them into account! Ferries can be great and rather cheap in Greece but due to the economic crisis, the companies often halt operations – strikes are frequent. And getting stranded on an expensive island like Santorini for several days might not be the best experience for a budget traveler. Thanks for the tips! Great page! I was thinking of booking into Jacobs hotel for 14 days and traveling from there to see the other islands perhaps by air, to save time but I have to watch the cost also, what would be your advise on that please, do you think its not a good idea to stay in one place for so long ?? hi! can you tell me what ferry you used to get to Milos?? I can’t find tickets for less than 50 euros!! would it be cheaper to go from Athens to Santorini first, then Milos? or a then semi lost Santorini? Thanks for the post. It was fantastic. We plan to go to Greece by end of June. Glad you found it helpful! Enjoy. Would you say your article holds true 5 years later? I want to go to Greece but I find it difficult to start organizing. Hi Joy. Yes, I believe it does. I’m planning on updating it soon but most of the information is still very useful. Best of luck! Great Post… Stunning! So much more than just white-sand beaches. I’d love to visit the baths, it looks like such a cool experience. I have to distribute 10 full days between Athens and the islands. What is your recommendation on getting the most out of my days there? I would recommend spending 2 days in Athens and the rest in the Greek Islands. In Athens, be sure not to miss the Acropolis and the Acropolis Museum. Walk from Syntagma Square to Monastiraki Square on the shopping street. Take a hop-on hop-off bus to maximize your day in Athens. Thanks. Glad to hear you’ve found the information helpful. I would recommend 1-2 full days in Athens depending on how much history you want to take in, 2-3 days in Santorini and 2 days in Milos. hello! I plan on visiting Greece in late September with a friend. first off, is september a good time to go? we will stay there for about 15days. plan on doing hostels for the most part. What is the best way to get around from island to island? mykonos, naxos, paros, antiparos.. ? and cheapest/safest way? would really appreciate your help:) thank you. Hi Lianna. Yes, September is a great month to visit Greece! You’ll avoid all the high season/summer crowds. Best way from island to island is to book flights ahead of time. 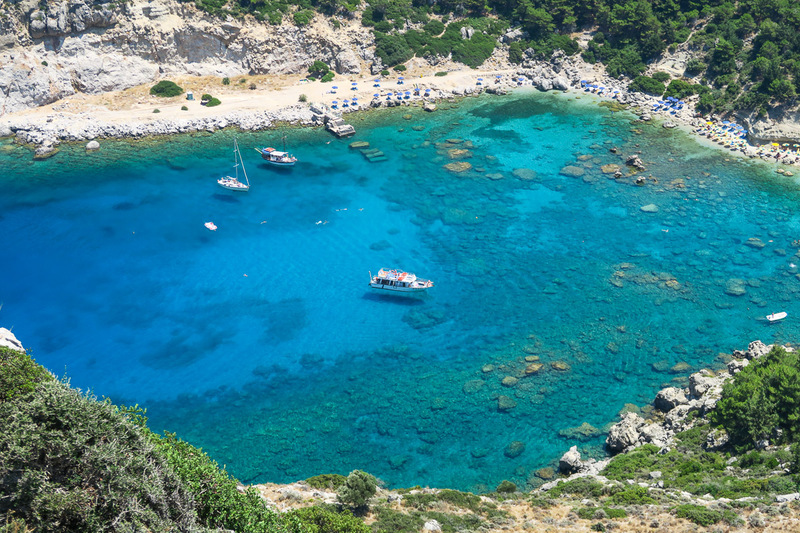 You can sometimes find roundtrip flights from Athens to the islands for less than a ferry ticket. Oh, and most flights are only 1 hour or less. If you want to avoid flying you could always check the ferries. Both options are safe and affordable when booked in advance. Hope this helps. Hello Ryan, what time of the year do the ferries NOT run? Trying to book for November but it just says no available dates? Hi Konstanze. Which island(s) are you wanting to visit? Let me know what your departure/arrival destination would be and I’ll do some digging for you. FYI: Greek Island ferries have somewhat limited schedules during the fall/winter months (aka low season) so some routes which are normally daily during high season might drop to 1-3 times/week in the off months. Some routes stop completely in the low season. It really comes down to which islands you’re trying to visit during these months. Let me know in a reply below and I’ll get back to you as soon as possible with an answer. Hi Dan. Thanks for the comment. When it comes to finding good prices for families, do you mean on flights? Accommodations? Activites (Acropolis, other major sites, etc)? Let me know and I’ll do my best to assist you. Thank you so much for this article. I just booked my tickets to Athens for a ten day trip.. This is the first time I will be traveling alone and I am trying to push myself to do it. This post definitely helped me get some basic clarity and not feel too stressed about it..
Hi Carole. Thanks for the comment and the kind feedback. Sounds like a great plan to me. Yes, I think it’s safe to say that Mykonos can be skipped this time around. I highly recommend Santorini (a must), Rhodes and you can take a round-trip same day ferry from Rhodes to Marmaris, Turkey if you have some time. Milos is another must visit (one of my favorite islands). I have yet to visit Crete so unfortunately I cannot give you too much info on it other than the fact that it’s a huge island and there is a lot to see and do there. I hope you find this helpful. If you have any other questions, please feel free to leave a comment. Hope you end up going to Turkey too! It’s absolutely safe for tourists, especially on the coast. Take a visit to Kas or stay up in Faralya (basically a road above a mountain near Fethiye which has incredible views) if you have time from Rhodes. Thanks for the comment. Love Turkey! I’ve been many times and I can’t get enough of it. Thank you, Ryan! This is a very helpful piece. Do you have a recommendation or two for the best islands for snorkeling? I’m mostly interested in being able to snorkel from the beach rather than go out on a boat Any info is much appreciated! Glad to hear it, Kimberly. Thanks for the feedback. As for snorkeling, I think some of the beaches in Rhodes might be good for that. That being said I wouldn’t say that the snorkeling is that great in Greece. At least nothing like the Red Sea, Caribbean and other famous places to snorkel/dive. Hi, how do you recommend travelling between Athens, Santorini to Milos on a budget? Thanks! The best and cheapest way to travel between Athens and Santorini is to start scoping out flights on RyanAir well ahead of time. Sign up for their mailing list to be sure you don’t miss a special promotion. I would check back to their site every few days using a private web browser so that it doesn’t track your IP address. You can find round-trips from Athens to Santorini on RyanAir for under 60 Euro if you hit it right. If not, you can still find decent prices with Aegean as well. Keep your eyes peeled! As for Santorini to Milos, you’ll need to take the ferry and you should be able to book directly through the link in the article. Best of luck and enjoy your trip! Hello Ryan! Thank you for your post! Very helpful! I’m coming around May 20th depends the availability of the flight! I will be with my son and daughter for 10 to 14 day to visit Santorini, Mykonos and want to know if we should see Crete too! Hi Manon — with 14 days you should have no issue visiting Crete. That’s quite a long trip and a great opportunity to see a lot of what the Greek Islands have to offer. Best of luck! My husband and I are planning a September trip to Greece. We want to spend about 8 days there, but want to know your recommendation of islands and time in Athens. Santorini is a definite on our list. What other islands if any, do you recommend in that short amount of time? Also, what part of Santorini do you recommend staying in? Hi Christina. Excellent. September is an amazing time to visit Greece so that’s a great start. 8 days should be enough for you to cover most if not all of what you’re interested in seeing/doing. Athens: 2 nights max to cover the must-see sights and experience the culture. 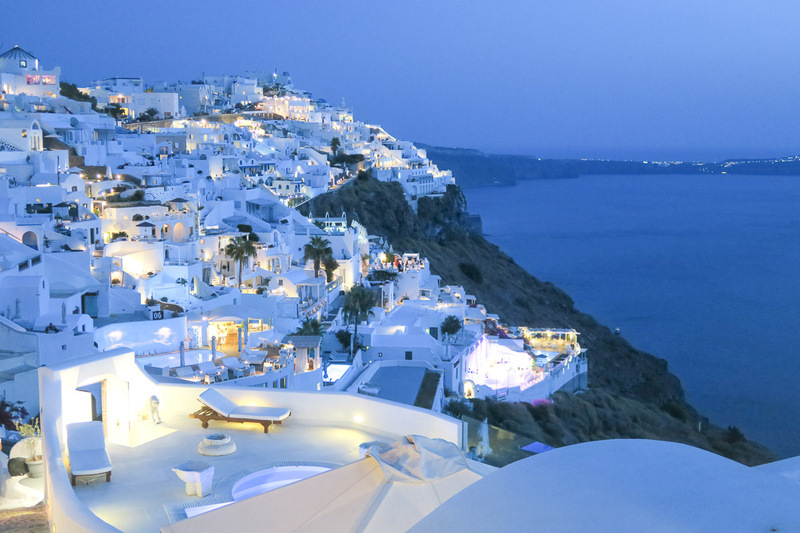 Santorini: 2 or 3 nights – You’re going to fall in love the minute you land here. Milos: 1 night… preferably 2 nights as there’s a variety of beautiful beaches for you to visit and a sunset spot that can’t be missed. Athens: Use this map that I created to find places to stay as well as things to see/do in Athens. This is my private map with all my personal recommendations. You’ll love it! Santorini: I’ve stayed on the edge of the cliffs in Firostefani and I’ve also stayed on the west coast in Perissa Beach. If you want to stay within a reasonable distance of the action I would recommend Fira (main town on Santorini), Firostefani or Oia (home to the most famous sunsets in the world). You will visit Oia for the sunset at least one if not both nights you’re there so if you’d prefer to stay there I understand. If you want better prices, they can be found in Fira or Firostefani. Oia will be more expensive for sure. Thanks so much Ryan! One more question…would you recommend a cruise of the greek islands? If so, which one? We were considering a cruise which begins in Venice and includes Dubrovnik, Ephesus, Santorini, and Katakolon. My husband is a little worried about safety and we wondered if a cruise might be a better option. Hi Christina. Unfortunately, I cannot vouch for any Greek Island cruises as I’ve never actually been on one. That said, most cruises are a great starting point for figuring out which places you want to visit more in-depth the next time around. It’s like a sneak preview and then you can decide where your next trip will be dedicated to. As for the safety. What is your husband worried about? Independent travel in Greece? If so, please let him know there are no reasons to worry. Literally. I’m bookmarking this! Great write up! I’m hoping to travel the Greek Islands someday in the future, this made me want it more seeing how more feasible it will be on the budget. Glad to hear you found this helpful. Yeah, 7 days should be sufficient. I wouldn’t necessarily recommend hopping around too much with that little time but you can definitely see some of the history in Athens and then the partying/sightseeing on the islands of your choice. I would recommend starting in Athens for 2 nights and then heading to Santorini for 2-3 nights. Ryan , i donno if i should expand our stay to 9 or 10 days … our options were: athens-santorini-mykonos-rhodes …so you recommend just athens and santorini? thanks a lot for your help really. No, I recommend all of the above. I have been to all but Mykonos. 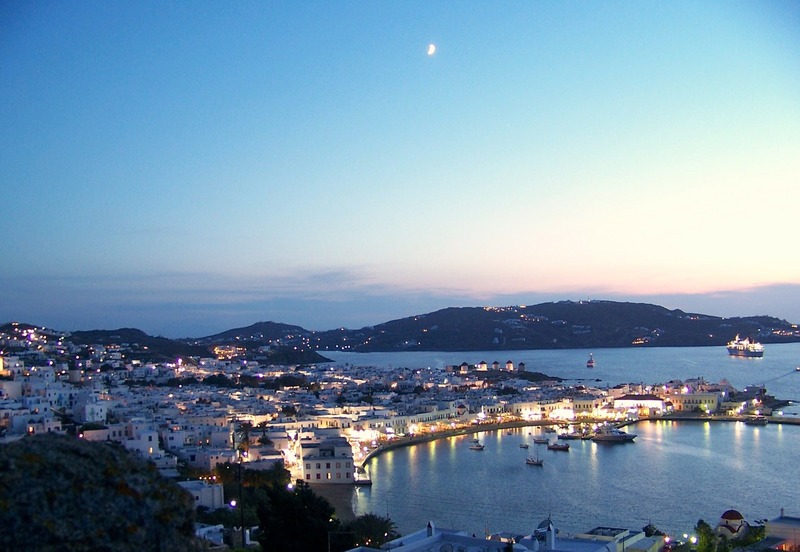 If you’re looking to party then Mykonos is a great place to add to the itinerary. Otherwise Athens, Santorini and Rhodes are all great options and I can personally vouch for all of them. If a flight is too cheap there’s usually limiting factors such as amount/weight of hand luggage, costs to select seats, etc. There’s no harm in going through the purchasing process to see how much fees actually add up. Hi Ryan, as a fellow travel blogger this article has saved me! Am planning a trip to Greece in May and trying to take in Athens, Santorini and Milos just as you have suggested but was struggling to find useful/recent information. One quick question, there’s a super cheap flight from Ath-Santorini with Ryan Air but it arrives in Santorini just after midnight. Do you think this would be safe even as a solo female traveller? And would there be enough transport around at this time? Hi Sarah. No problem. Glad to hear that you’ve found this article useful. I try to update it often to make sure everything is as up to date as possible. Yes, you will be absolutely fine in Santorini (even after midnight) it’s a super safe destination so you shouldn’t have any worries at all. Hop on that cheap flight while it’s still available! Taxis will be plentiful. Thanks for all the great info! My daughter and I are planning a combo Greece/Italy trip June 22- July16. (Greece then fly to Italy) I know it is the busiest time to go- but no choice. Anyway she has always dreamed of Santorini and really wants to visit Melissani cave on Kefalonia. I love quaint sea villages and beautiful not too overly crowded beaches. I am thinking about 10-11days in Greece but nothing is set yet. What are your suggestions for itinerary? Your suggestion of Milos sounds great. Hi Annette. Excellent! You are going to have a great time. I hear so many great things about Kefalonia. I have yet to get there. Please let me know how it goes. Thanks so much! I will be following your blogs for more traveling tips-headed to Italy next! No problem. Glad to hear it! So incredibly glad to have found this article! My husband and I are trying to plan a trip for 2018. We are struggling with deciding on June or September (we are definitely budget travelers) – do you have a preference for best time to travel between the two? We are hoping Athens, Santorini, and Milos ( ???????? thanks to your blog!!) this will be my first international travel we are very excited! I love the enthusi you show in your writing it’s gotten me even more excited. Thanks for sharing! September is the better month in my opinion as far as crowds go. If June is a better month for you, then no worries. You will have no problems traveling to Greece in June. I will say that the first two weeks of June would be more ideal weather wise as it starts to heat up once its gets closer to July. On the other end, if you’re interested in visiting in September, the best time to visit is the last two weeks of the month. As for your itinerary — it sounds perfect! I’m so glad to put Milos on the map for you. Do yourselves a favor and rent a scooter/atv/car and drive out to some of the many beaches Milos has to offer. If I had to choose one beach to send you to it would be Sarakiniko Beach as it’s the most unique beach on the island. Feel free to leave another comment if you have any other questions. That was a mistake above! I would like to plan a 7-8 day visit to Greece with a 13 and 15 year old. Thinking Athens, Santorini and Milos (per your recommendation). What is the best way to get started? We will be leaving from LAX and flying into Athens. Book flight first, then airbnb in Athens, etc. How many days would you recommend at each location? We don’t travel much and wondering if it is easier on our own or going with a tour package that organizes for us. Thoughts? Hi Stephanie — Athens, Santorini and Milos is one of my favorite combinations! Note: I prefer Airbnb when possible. As for the tour vs. independent travel, it really depends on your comfortability. In all honesty, Greece makes everything pretty easy and streamlined for tourists. There’s a reason why 20-something million tourists passed through there last year alone. I can’t see why you couldn’t do it independently. If you decide to go the tour route, you’ll probably end up paying more but at the same time there is a comfort in having everything planned out for you. It’s totally up to you. I recently decided to try and plan a last minute trip to Greece for my boyfriend and I. Probably around 9-12 days including flights. I am looking to go in like a month (around may 18th) and worry I won’t have enough time to plan my visit so I have been looking at vacation package deals. Any thoughts on those, or any recommendations on planning a great last minute trip? Hi Ryan! I am new to your blog, but I am loving it! I am going to Greece with two of my friends that last week of September (found like a $460 RT flight!). We will have 6 days (excluding travel days) and we arrive and leave in Athens. We are really torn on what Island (s) to visit in such limited time. We are all first time visitors, so we feel as though Santorini is a MUST. However, I just read your post on Zakynthos and I am wondering what you would recommend…Santorini/Mykonos or Zakynthos and Athens. We know it is not feasible to see Santorini, Zakynthos, and Athens in 6 days. Hi Raven. Thanks for the feedback! Congrats on finding such cheap flights. That’s an amazing deal (especially if you’re talking about flying from the US). While I love Zakynthos, it’s a little bit out of the way. I would recommend you check out Athens, Santorini and Milos or Athens, Santorini and Mykonos. Thank you for an amazing article!! So glad I found it! I will be going to Greece this August for 16 days by myself. I will fly to Kos and fly home from Rhodes so I want to visit the Dodecanese islands. Do you have any suggestion for itinerary? Also, I want to do the “showing up without reservation” but I’m a bit worried that it’s high season in August so that every place might be fulled booked and I might end up having to pay for some expensive place or not finding any place at all. What do you think I should do? Hi Kevin. Flying into Kos and out of Rhodes is a great idea. You’ll get the opportunity to see lots in between. You could even take a short ferry over to Marmaris, Turkey if you want to add a new country to your list. Marmaris has a beautiful port/coast and lots of charm/character. I recommend it if you have the time to do a day trip. Honestly, I don’t think you’ll have too much trouble finding accommodations on the eastern islands. Also, worst case scenario you could book a last minute airbnb or whatever. If you’re really worried about it, book places ahead of time. Just remember that’s going to cut into your spontaneity. Best of luck! Really appreciate your post! My wife and I are planning a trip to the Greek Islands the last week of September. I had planned 2 days in Athens, 3 days in Mykonos and 5 days in Santorini. I am thinking of scrapping Mykonos and going to Milos instead. I think the beautiful beaches and scenery are more to our liking. I have read on other travel forums that Milos really shuts down after the first part of September and that it might be too slow, things shut down, etc. toward the end of the month. I see that accommodations are available and I found at least one boat tour operator still has a round the island tour running. Are most of the restaurants/ bars already shut down around that time? Appreciate any thoughts you have and thanks again! Hey Daniel. Your plan sounds perfect. As far as Mykonos vs. Milos goes the only real question is if you want to party. 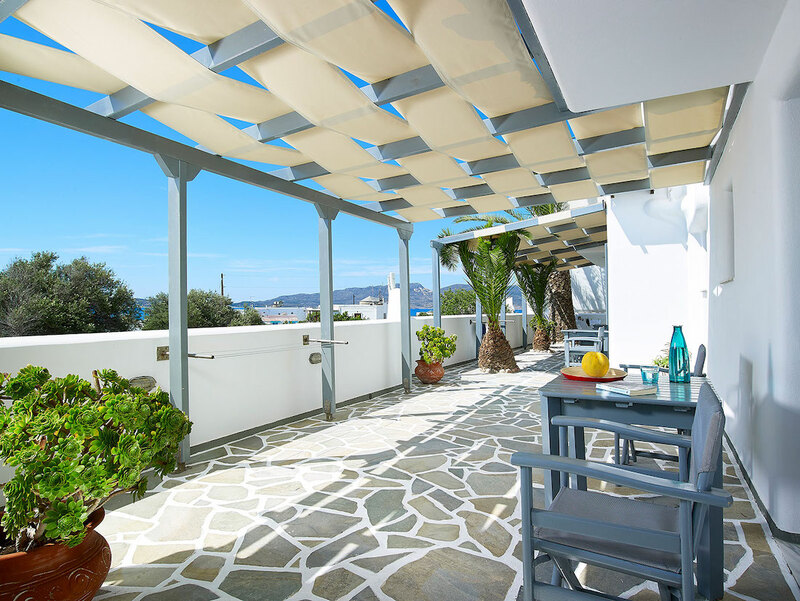 If you want the party scene, Mykonos is the place to be. If you’re looking to relax and go on adventures to amazing beaches then Milos is your best bet. Most Greek Islands start to slow down mid to late September. I can’t tell you for sure as far as what dates things start to really close. I wish you the best of luck on your trip. Please loop back and follow up about how your trip went! Thanks for this advice, I was really apprehensive on all the travels , but now Iam very excited to travel these Islands with my lovely lady. Glad to hear it Derrick! Best of luck. just found your page, its fab, my husband and I love Greece will be looking into it in depth as we would like to do the island hopping. We have done Santorini, Mykonos, Olympia and Athens on a Cruise. Was not impressed with Santorini where the ship docked not typical Greece for us very cosmopolitan but would love to try it again but different area. Loved little venice Mykonos. We go back to Rhodes September our 3rd time, we hire a car and go round the island looking at going to Simi this year. But looking at your blog i’m interested in doing a island hopper next year for our 50th birthday. So any advise would be gladly received. Thanks Donna — so glad to hear you’re headed back to Greece. 1. Yes, I completely agree. Then again, usually just about anywhere a cruise ship docks ends up being the worst and most touristy part of the island. Sorry to hear that because Santorini is a gem of a destination when done properly. It’s a trip of a lifetime. This year will be my third year on board and I’ve done more than 4 voyages with them. I might even be able to score you a small discount if you’re interested. Let me know your thoughts. Best of luck and I look forward to hearing from you soon. Hello Ryan, thanks for the post! I have a doubt – are there ferries connecting Milos and Santorini in late november? I would like to visit both islands, just as you told, but I just can’t find in internet any information about ferries between these 2 islands in winter season. Could you help me? Do you have any informaton about it? Hi Felipe — I highly doubt there are ferry connections at that time of year. Unfortunately so. http://www.directferries.gr. Choose “Cyclades” and find connections until oct 17 (winter itineraries will soon be announced). ANEK lines, Blue Star Ferries and Seajet SA connect the islands to Pireaus round the year. Enjoy !!! Hi Ryan, I am a bit outdated, but info remains for future travellers! Indeed Milos and Santorini are connected during winter. There are 4-5 ferries per week connecting these islands and the trip lasts around 3-5 hours. There is also an option for an indirect connection via Paros and Syros. Hi Jen — Thanks for the comment. To be honest your trip is a little too short to fit all three but it can be done if you really hustle. I guess if I were you I would ask yourselves are you more interested in seeing the views/sunsets and charm of Santorini or are you more interested in exploring beautiful beaches (Milos)? That might help you choose between Santorini or Milos and give you some extra time in one of those destinations. I read every single word o about Greece, excellent work!!! Enjoy your trips around the world and we will follow your tips ! I read your blog and found it very interesting. I am getting married in Dec 2017 and I plan to do a 15 day trip with my wife to visit Greece alone or Greece and Turkey sometime next year(preferably April end May start 2018). I know it is very early to ask but I would like your suggestions on cities/islands to visit in Greece. I would also like suggestions on the number of days at each place. I would also like to know whether I should visit Greece alone or I should do Turkey along with Greece? Cities and no. of days if I do both. Thanks for your help in advance. My recommended itinerary includes Athens, Santorini and Milos. If you want to do a combo trip with Greece and Turkey you can head to Rhodes, Symi and pop over to Marmaris, Turkey. I found your blog to be interesting. I am planning a 15 day Greece trip with my wife. Please advice on the places and days. Also, should we visit Greece + Turkey or Greece alone? Turkey is always a great addition to a trip to Greece. Maybe make a pitstop in Istanbul or one of the beautiful resort towns on the coast. We have a trip to Greece/islands upcoming from Sept 27 to Oct 9/2017. Our trip is 2 nights Athens, then 3 nights Santorini, 3 nights Mykonos and last 3 nights Crete. This is package we got from AirTransat and includes all ferries/flights and transfers to/from airports/ferry docks to/from hotels. We love to just explore and see what places have to offer and do not mind walking but might also do scooters or atv. Just wondering what are some of the can’t miss this you might recommend to do on each of the islands? Heard about the famous 3 hour hike between 2 towns and was thinking of that as 1 thing for Santorini. Staying at Cliff Side Resorts on Santorini and really looking forward to that. Sorry I’m just getting to this now. I hope you enjoyed your trip! 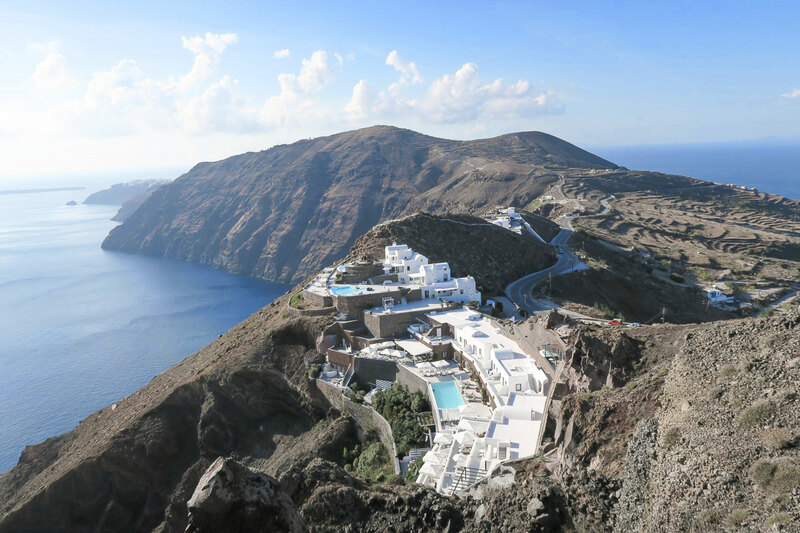 Yes, the hike between Fira and Oia is amazing but not for the faint hearted. Bring lots of water! Great tips! Bookmarked it already for me and my husband’s travel next week. Can’t wait! Hello Ryan! We found your blog to be soooo helpful. We leave for our trip to Athens next month, where we’ll spend 5 days. Then we head to Santorini for the next 8 days, & then back to Athens before heading home. Any tips on fun things to do in Athens, besides the obvious Acropolis & Parthenon visit? Any restaurant suggestions for Santorini? We love Greek food & we’re really looking forward to eating lots of it. Thanks! Hi! Love reading you and all the comments, its great. We will be visiting our friends in the Messinia region for a week or so, but would love to visit Athens and Santorini to show the kids. I was planning on renting a car arriving at the airport for the entire stay. This is my question: Do you think we could travel “car free” the first week (Athens and Santorini) then rent for the second part of our trip which is to drive across to the Messinia region? I find that the car takes a big lump of $$$ of my budget!!! How would you play it?!!! Hi Jennifer. Thanks for the feedback! Yes, you can absolutely travel car free in both Athens and Santorini and as a matter of fact, I highly recommend doing it that way. Driving and finding parking in Athens is complicated and you won’t want to deal with either. Athens is a very walkable city and worst case you can always download the app called TaxiBeat to catch reputable taxis when you want to go somewhere that is a little further outside of the center. In Santorini I recommend renting a car but only for a day or two because you’ll want to explore some of the beaches (red beach, black beach) and also for heading to Oia to see the sunsets. Wishing you the best from Athens! Great info. Thank you very much for taking the time to put this on the web and answering all our questions. It’s incredibly generous and extremely helpful. We are heading to the Greek Islands for my wife’s 50th bday. Soooo looking forward to it. So much choice. Your info helps us feel confident about our choice. We’re travelling to Greece from Germany in May 2018. Looking forward to the food, beaches, sunsets, villages and if we are lucky some viewing some wildlife. We are thinking of spending 4 to 5 days in Milos, then heading to Santorini, maybe Mykonos, and Athens for a day or two or three each. We like our creature comforts but not luxury, as it often takes away from the cultural experience. We’ll be looking up the info from your sights. Definitely interested in flying between the islands and short ferry rides to close by islands. Do you recommend hiring a taxi as a guide? I hear it’s popular thing at some island vacation spots. Are there helicopter or small airplane transportation options that let you see more of the islands? Have you been scuba diving or snorkeling and if so, any spots for beginners to try out? Thanks for the feedback, Stephane. I think your itinerary is perfect — you’re going to have an amazing trip! Hiring a taxi is always an option if you prefer to be driven around rather than renting a car and doing it yourselves. I’m not aware of any helicopter or small plane transport services but I’m sure there are some available. I have never scuba dived in Greece. I’m not sure if it’s a great place to do it to be honest. Great informative post, Ryan. Any tips on where in Greece I should spend 3 weeks for Winter for a first timer? Around 1 week before Christmas through to New Year + 1 week after. Unfortunately, the islands are pretty quiet in the winter. So quiet that much of the island shuts down for the season. I wouldn’t necessarily recommend a winter trip there due to the time of year, the weather and the amount of establishments that will be available to you. I would advise you to try to visit a little earlier than December if possible. More like September/October at the latest. Many of the islands and ferries running to/from the islands will be limited and/or shut down. Please let me know if you have any other questions! Out by ferry but fly back to Athens. We love to wander, go to beaches and dine out. Hi Melinda — Wow! Sounds like such an incredible trip. I’m jealous! I think 4 days is perfect for all the destinations you mentioned. Enjoy your trip! Hello! We were planning a trip for the month of May for my husband and I – late 20s couple that likes beaches , great food, history and sunsets. What would you recommend as a rough itinerary for 2-3 weeks? Our previous Europe trips have been packed so I want more of a relaxed and not crazy busy trip. Also is the month of May a good time to visit – coming from Vancouver so would love some warm weather. Thanks!! Hi Emma — My recommended itinerary would be Athens for the history/culture, Santorini for the romantic vibe and the sunsets and Milos for the beaches. Those three are the perfect combination in my opinion. The only thing I’ll say is that it might be a little too cold for the beaches in May unless you plan for Milos at the end of your trip. This was super helpful – thank you for putting this all together!! I am going in September with a friend or two and cannot wait. After reading this, we think we’ll split time between Santorini & Milos. Here’s where I would love help: I have elevated taste (re: Hotels with pools, views, nice rooms, etc. ), but my wallet doesn’t always extend that far. Do you have more recommendations on affordable hotels that are still 4 stars? Thank you in advance!! Gracie. Hey Gracie – Thanks for the feedback. Glad to hear you’ve found it helpful. I would suggest you take a look at places located in the village of Firostefani. It’s a beautiful area next to Fira and there should be plenty of nice options for you. Best of luck on your trip and let me know if you have any further questions. Thanks for all the great information. My friend and I are flying into Athens March 24th. We are going to stay 2 or 3 days there. We heard the Acropolis is free on 25th because of your Independence day. Or is it closed? We are staying til April 2nd in Greece. We would like to see some islands. What islands would be open to explore at that time of year? Thinking about going to Crete and some places on Peloponnese. What about Meteora in March? Where would be best places to see some pretty country that time of year and explore? March/April is extremely early (weather wise) for the islands. If anything I would check out some of the more popular islands as they will be more likely to be getting ready for the tourist season versus the smaller islands which won’t get going until later in the spring/early summer. I have yet to visit Meteora but I imagine it would be a great thing to add to your itinerary. Thanks so much for putting this together. I am travelling with my husband, 2 children (10 and 4) and my mum in June/July. We are flying in to Athens and are wanting to visit both Santorini and Milos for about 3 nights each. Not sure what order to do the islands and if it is more economical to fly or ferry? Advice on this would be great. We are using both Airbnb and bookings.com for our accom. Looking into a Milos Adventure day boat trip – do you know much about these or similar offerings? Are these islands suitable for children? There is no perfect order. It’s all the same. As for flying/ferry. I always recommend the flight as it takes less than 45 mins versus the ferry which takes several hours. That said, your children might enjoy the ferry and it could be a nice thing to do as a family if you have the time. If you decide on doing a boat trip in Milos DO NOT miss the Oneiro boat tour. It’s the best. Seriously! And yes, it’s perfect for children and adults alike. Ryan, this is an excellent blog and it has very helpful information. I am planning a family trip to Europe for 3-4 weeks in summer 2018. Though nothing is solidly planned at this moment, but after reading your blog, it gave me a lot of inspiration to spend time in the Greek Islands. Thank you very much! Glad to hear it, Coco! Best of luck. Hi Ryan, awesome site with heaps of info from you and fellow travellers. My husband and I are travelling to Greece for 3 weeks in June, which I know is when things are starting to get more busy. We are in our 50’s and aim to find the right balance of must see tourist sites plus also really like to avoid the biggest crowds and immerse ourselves in lesser known gems, a bit of quiet culture, we like food, like walking…We have a couple of new friends who visit corfu regularly so we plan to meet them there for a week and they can show us around. Aside from that we plan to spend ?3-4 days in Athens then look at some islands. Love to hear your thoughts. Thanks. Three to four days in Athens is sufficient. Obvious recommendations: The Acropolis and the Acropolis Museum (a must). There’s the old Olympic Stadium which is worth a short visit. 1. Watching the sunset up at Mars Hill (the small rock outcrop just below the Acropolis where people watch the sunset each evening. It’s one of my favorite spots in Athens. I go up there every evening when I’m in town. 2. Cine Paris – Amazing rooftop open-air cinema to catch a movie at night. You can kick back and watch a movie, enjoy a wine/beer and even have views of the Acropolis all lit up in the distance. Check the schedule on their website. This place is a must! 3. Brettos – The Oldest Distillery in Athens and one of the coolest bars in town. It’s located in the oldest part of Athens (Plaka), which is now a very touristy area. It’s a great place to meet new people, enjoy wine, ouzo and even Absinthe! This place is a must. Do not miss it. 4. Coco’s – Amazing greek yogurt/gelato shop across from Brettos. 5. Point A – One of the best restaurants that I’ve dined at in Athens. 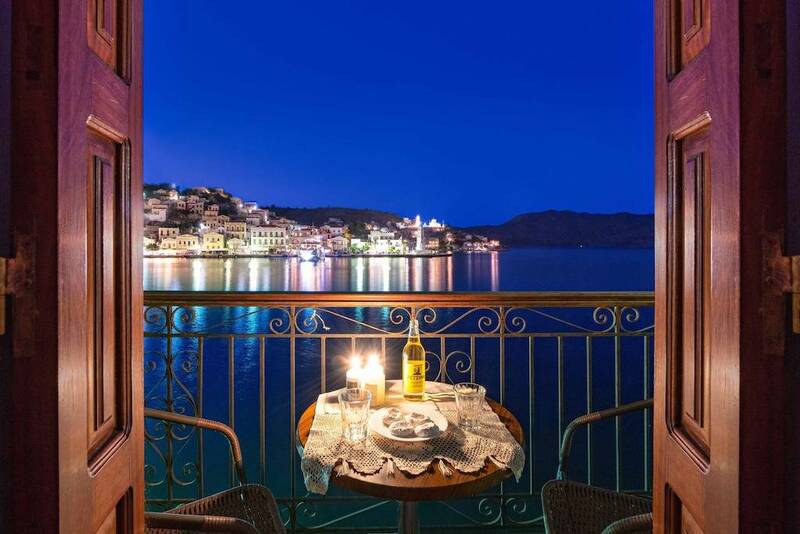 If you’re looking for a romantic/amazing dining experience with views of the Acropolis, this it the place to be. Make reservations ahead and enjoy the food/view! It’s spectacular in every way. 6. A for Athens – Grab a drink up here. It’s a rooftop bar that overlooks Monastiraki Square and has amazing views of the Acropolis in the day and the night. 7. Little Kook – A cool little circus themed cafe located in what used to be a very run down area turned trendy arts district/restaurant scene. This is just a short list of the many things to do in Athens. I hope this helps! What a wonderful website and blog. I am going to be in Greece for a week March26-April 2 and would like to visit Crete and Santorini what do you think? I know weather maybe a bit cold, should I just stay around Athens? Thank you. Hi Rossana – Thanks for the feedback. I think the islands will be very chilly during this time. Not only that but I don’t know how many places will be open on Santorini during these months. As for Crete I am really not sure because I’ve never visited. It’s on my list though! I agree with your airbnb recommendation. You can rent some really great houses for far less than a small hotel room! Although you do want to pay attention to location. You don’t want to be too far from attractions. Awesome site Ryan! I’ve saved your guide to my favorites list!! Great read!!! I’m planning my Greek Island Hopping adventure and stumbled upon your post :) You’ve got everything covered, thank you for sharing. I’ll be following from now on!!!! Thanks Anna! Best of luck. Hi Ryan, I came across your blog and the tips are great. So I am a single female (dare I say Sr citizen?) who would love to travel to the islands of Greece alone, and I love to snorkel. Can you recommend the best time to go and what islands would be the best? Thanks very much! Hi Jo! Thanks so much for the comment. Unfortunately, the only time I’ve ever been snorkeling in Greece was out in some coves off the coast of Symi and a few others. I’m not sure how great the snorkeling is in the more popular and trendy islands such as Mykonos, Santorini, etc. This was really informative for someone who is at very early stages of planning a island hop around Greece. thank you. Excellent post Ryan. Too many bloggers these days write two-paragraph posts. This post was structured well, offered insightful information and was truly helpful. Loved it, keep up the fantastic work….and thanks for the help with the planning of my Greek get-away! Thank you! Appreciate the feedback. Best of luck! hey Ryan very good tips here!!! !greek islands are like paradise!! !i have been to Mykonos and santorini which was absolutely stunning!! !quite expensive though but i guess it totally worth it!! !this summer i m going to an island i have never heard in any guide before! it s called folegandros and some greek guys i ve met on my last trip suggested that so i said to give it a try!! the greek ferries have some weird timetables i have to admit but you cant help it. folegandros is said to be a more relaxed island than mykonos and santorini but they told me that the beaches are amazing. maybe i should also think about island hopping in case it s not what i m looking for. i searched a bit about the connection routes from folegandros to other islands but i only found this https://www.letsferry.gr/gr/upiresies/destinations/provoli-proorismou/folegandros, so if you have anything to suggest please..be my guest! Hey Josh. Thanks for the feedback. I’ve heard A LOT about Folegandros lately and I cannot wait to visit. I’m sure you’ll have a great time. Please follow up and let us know how it goes. I would recommend checking out Milos and Folegandros in one trip. Seems as if it’s easy to get between the two. Hey Ryan! Thanks for the post. My friend and I are planning well in advance for May 2019, and had a couple questions. We’re starting off in Switzerland, and traveling down through Italy, and then ferrying or flying over to Greece. Her uncle has a house in Athens, so we’d have free accommodations there. We’ll both be 19, and be traveling on the lowest budget possible by couchsurfing and staying in hostels at least in Italy. We were a little concerned with the safety but also wanted to know whether or not making the trip to Santorini, Milos and Folegandros was within the budget. We’d only have about 7-9 days total in Greece, and I was wondering whether we should stick with only one or two of the islands to keep the price down, especially since we have a house already in Athens. If you could rank them, where would you go based on experience and budget? Also if you happen to have any advice on Italy and Switzerland and where to go there we’d be happy to hear :) Thanks! Hey Claire — Congrats on the upcoming trip! There are absolutely no safety concerns here in Athens or in the islands so you have nothing to worry about. There are typical precautions that you will want to take as you would in any other major city. One of the things to keep an eye out for is pickpockets. They’re all over Europe and definitely have a presence here in Athens, although I’ve never had an issue because I’m very aware of my belongings and my surroundings at all times. That said, people get pick pocketed all the time. Don’t leave anything valuable in an accessible zipper of your backpack while you’re walking around. Always double check that you’ve got your wallet/money in your pockets or on your body somewhere where it cannot be easily accessed. Other than that, there are really no other safety issues that I’m aware of. I spend a good chunk of time in Athens and the islands each year and I’ve never run into any problems. Your itinerary sounds PERFECT! I would say that if you have to choose go with Athens, Santorini and Milos. 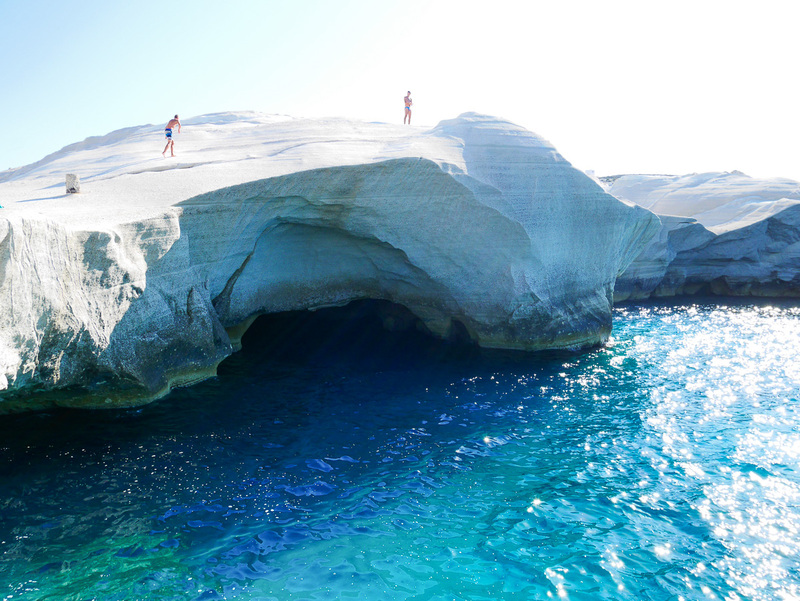 If you can handle traveling to Folegandros as well then do so because I have heard nothing but amazing things about it. I have many Greek friends that have recommended it to me and personally I cannot wait to get there next summer. As for your budget I would say that Athens is very reasonable, Santorini is quite expensive and Milos is very reasonable as well. Unfortunately, I have yet to visit Folegandros so I cannot say how expensive it is. I imagine it’s quite reasonable considering it’s not nearly as touristy as islands such as Santorini, Mykonos, Ios, etc. On Milos (if you get there) I recommend you stay at Galanis Rooms in Adamas — http://www.hotelscombined.com/Hotel/Galanis_Rooms.htm?a_aid=171530 – It’s cheap, clean and located within 5-7 min walking distance to the center, 3-5 mins from the grocery store, and 2 mins walking from the main public beach in Adamas. This guide was so awesome! Gave me so much information to help me plan a weekend trip to Greece. Thank you so much for writing this! Can’t wait to read through the rest of your site. Eh. Not a fan of Eurail, really. Hello! I am going on holiday with several friends for the first time this summer. 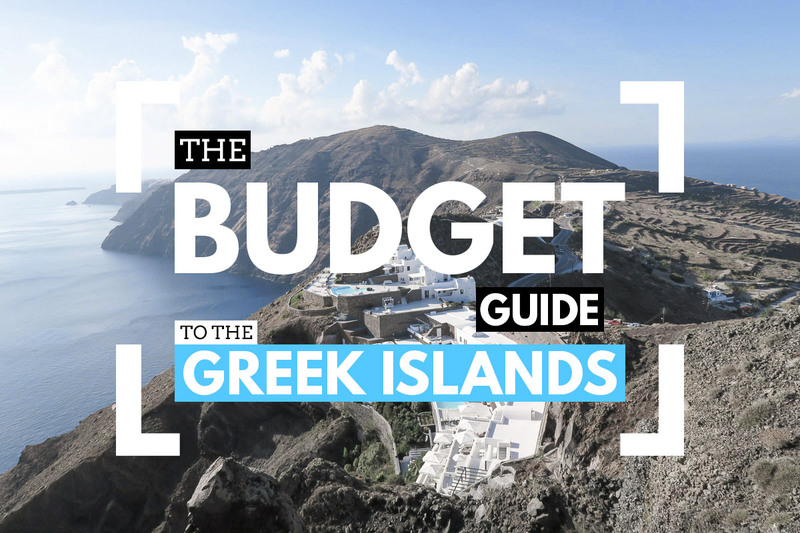 Although we are still unsure, our plan is to spend a budget-friendly week in Greece. Do you have any recommendations or itinerary tips? We want to do our best to visit as many places as possible, on a budget, in the short span of a week. Thank you very much for all your tips and tricks!! Hi Tali — Athens 2-3 days, Santorini 2 days, Milos 2 days. That should be sufficient! This is an excellent blog and I am grateful to have found you. My son is a planning a trip to Greece for about 10 friends after HS graduation 6/6/19. I have several questions as he asked me to help him plan the trip. Question #1: what day would you suggest we fly out after graduation? I myself have been there 24 years ago and visited several islands while on a cruise. Although we think the other parents may not let the kids go alone, question #2, do you think it is possible for them to go alone once I plan the itinerary with him (and you, LOL!!)? I plan to go as chaperone if one is needed. Days are flexible 14-16. Question #3, Can you please please help us with planning this? I definitely would fly from Athens to Santorini, but the inter-island travels most likely will be via ferry, and we will be Airbnb-ing. Question #4, can you possible help with a budget? I would need to have an idea. I want to make it cheap enough so that we can save $ when we can, so that they can splurge on fun activities. Thank you so much and keeping my fingers crossed that you can help us. Hi there. Sorry for not responding sooner. #2: Yes, of course. Greece is very safe and they will be fine on their own at that age. I am going to Rhodes island from jan.17th to march 16th 2019, is the weather good, can we swing in the ocean? Sure, you can swim but it will be VERY cold! Very informative article! Planning to visit in September of 2019! My aim is to visit Athens, Milos, Santorini,Mykonos, with possibly 3 nights at every island. Any advise? Sounds like a great itinerary! Lucky you! Is it best to fly from Athens to Istanbul or ferry across and travel through Turkey. We would like to see a few Islands and then our flight is from Istanbul back home to Australia. Hi Tamara — much better to fly between Athens and Istanbul as crossing by land will take quite a while and won’t be cheap. Best of luck! This is a great article Ryan. A must list to see to all travelers planning to visit Greece. Thanks for the great post. Our family of 5 planning a trip to Greece and I was wondering if it’s still feasible to use Uber in Athens with a family of 5. Are cars big enough there or are we better off renting a car? Thanks! Thanks for the help! We are honey mooning in early Oct(a little off season we know). Planning to spend a day and a half in Athens then hit the islands. Was thinking Milos, the Santorini hen maybe Mykonos? This gives us about 2.5 days of each. Think we should consolidate to 2? Into Athens 10/8 then out the same way 10/18. Hi Walker — Yeah, that’s a little late in the season but no worries. You’ll still enjoy your time. I’m glad to hear that you’re planning for the early part of October as the later it gets the harder it is to move between the islands. I think your plan of Athens, Milos, Santorini and Mykonos sounds great. 2.5 days should be sufficient if you’re wanting to get a taste of each island. Let me know if you have any further questions and I’ll be in touch as soon as possible. Best of luck and congrats on your upcoming trip! thanks for all info on the Greek islands. I am not definitely not a beach person, is Greece worth a visit if i am interested in History, acrhitecture, natures, etc ? Just trying to see if i should visit the world’s renowned Greece or some other places instead. Thank so much. Hi Lee. Yes, absolutely. There are many things to see and do other than be at the beach all day. Athens is where you’ll find the most history/architecture. From there, you could head up to Meteora and see the monasteries which were built high up on the cliffs. You’ll be very impressed. Greece is a very diverse country and it truly has something for everyone.